The best day of shopping has arrived, on Purse, we are constantly working on making the purchase experience as seamless and easy as possible. During the last Black Friday, our shoppers placed orders with an average discount of 13%. We have learned a lot since then, and we wanted to share insights on how to make sure your order is fulfilled to save some bucks on your purchases. 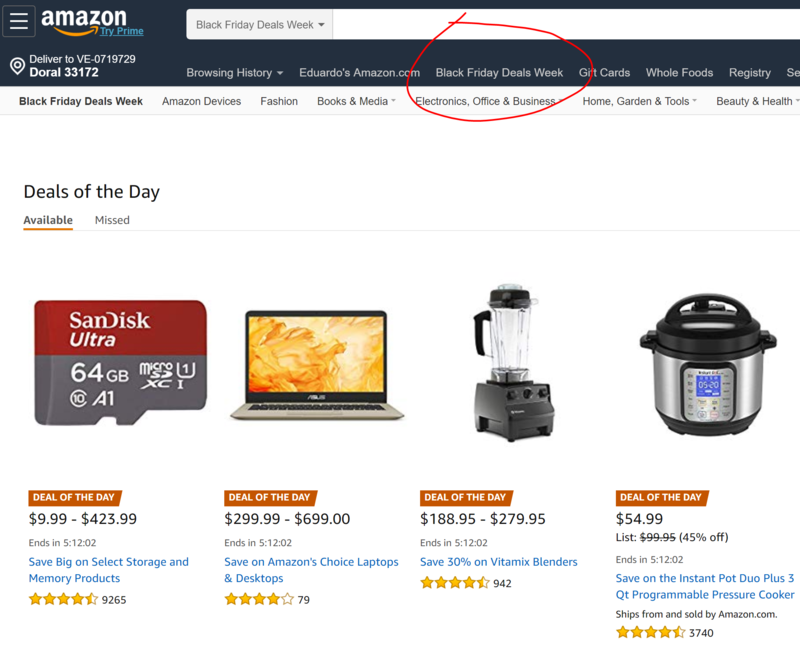 The "Deals of the Day" is a section in Amazon's website that will run offers and deals on hundreds of products during Black Friday, you can take advantage of these discounts and save even more by using Purse! For Deal of the Day items, we recommend you to select a 5 to 10% discount on Purse, this will allow your order to be fulfilled quickly (usually 1-2 hours). Please make sure to submit your order at least a couple of hours before the deal expires, this will give the earners some time to process your order and it will prevent you from missing the deal. Items within this category will not be supported by Purse during this Black Friday. If you try to purchase a product that is subject of a lightning deal on Amazon, Purse will display an 'Item Unavailable' message on the product page. These deals typically last for a couple of hours and are too unpredictable, which is going to make it harder for our earners work with.